If you’ve been on the lookout for personal training in Northeast St. Petersburg, you’re in luck. Dr. Ghassemi of Reza Chiropractic offers top of the line fitness programs that provide a well-rounded approach to health and wellness. It’s no secret that trying to lose weight can be incredibly difficult, especially when people feel that they are making the effort all alone. However, pursuing a fitness regime with Dr. Ghassemi and Reza Chiropractic means that you no longer have to achieve your fitness goals on your own. Having someone to be accountable to is one of the most important aspects of a person’s fitness journey. Through fitness workouts with a professional, clients will have a built-in support system that will teach them the importance of a healthy diet, adequate sleep, and regular exercise. By using this multifaceted workout system, Dr. Ghassemi’s personal training is goal-driven and results oriented. By utilizing his experience as a former competitive athlete, Dr. Ghassemi’s personal training sessions will include workout routines that can be completed both in and out of the weight room. This provides clients with the chance to enjoy the beauty of Northeast St. Petersburg by occasionally taking their workouts outdoors. Under his supervision, people who train with Dr. Ghassemi can rest assured knowing he will take the safest approach to avoid injury and strain. No matter where you are on your path to a healthier lifestyle, you’ll find that Dr. Ghassemi has something to offer you. With a combination of motivation and positive reinforcement, Reza Chiropractic’s professionals have the necessary tools to train a wide variety of clients. Our experience working with everyone from young adults to elderly clients benefits the entire family. 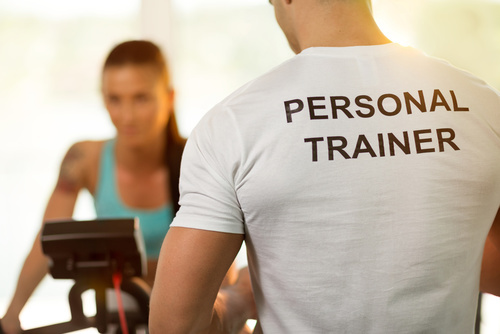 Personal training with a professional experienced in chiropractic medicine also allows the flexibility of working out at various locations including your local gym or the clinic in Northeast St. Petersburg. Adjusting to a new workout routine adds strain on the body. However, Dr. Ghassemi is also a licensed chiropractor and can therefore provide additional services such as adjustments and spinal corrections. Once you are ready to take the first step of your weight loss journey, we can help. Contact our Northeast St. Petersburg office today at (727) 526-7700 for more information regarding personal training and chiropractic services. Your journey begins now!